The amount of cultural diversity that India offers cannot be seen anywhere else. If one wishes to explore Indian culture at its best, one must opt for Golden Triangle Tour with Varanasi by Heritage Hotels of India. This week-long itinerary takes you to the golden triangle cities of Delhi, Agra and Jaipur along with the ancient holy city of Varanasi. During the itinerary, visit Delhi, an amalgam of new and old-world charms, the Mughal City of Agra, and Jaipur, showcasing royal Rajputana legacy. Visit to Varanasi offers spiritual enlighten and inner peace. Each place is its own specialty. 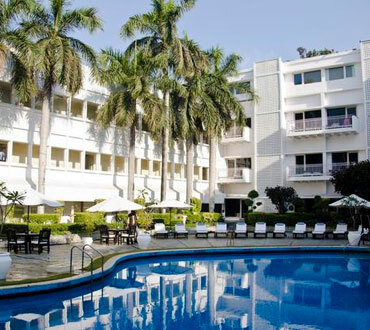 As you arrive in Delhi, meet our tour representative who offers you an assistance in getting transferred to the hotel. Complete the check-in formalities. After you freshen-up, get ready for sightseeing. The tourist attractions of Delhi including the Old Delhi including Jama Masjid- one of the largest Indian mosques; the World Heritage Site of Red Fort or Lal Quila - the royal residence of the Mughals till 1857 and then finally the streets of Chandni Chowk. 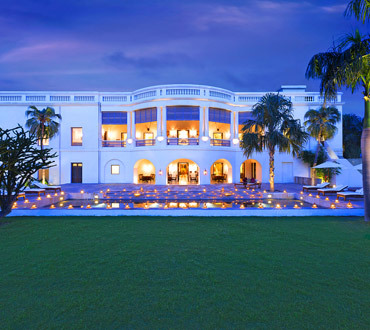 Stay overnight in a heritage hotel or similar category of hotel. In the morning, embark on exploring New Delhi including Birla Mandir or Laxmi Narayan Temple- dedicated to Lord Vishnu and Goddess Lakshmi, the war memorial of India Gate, and lastly, the Gandhi Memorial. Next you visit the Parliament House (from outside), and the World Heritage Sites of Humayun's Tomb and the Qutab Minar. Later on, start your road journey to the Pink City of Jaipur. Upon arrival, check-in. On day 3, get ready for city tour of Jaipur. The first visit of the day is to Amer Fort. As it is a hilltop fort, enjoy an elephant ride up to its entrance. It is 11 km away from the city. There are various wonderful structures in its boundaries such as Diwan-i-am, Diwan-i-khas, Sila Devi Temple, Ganesh Pol and so on. 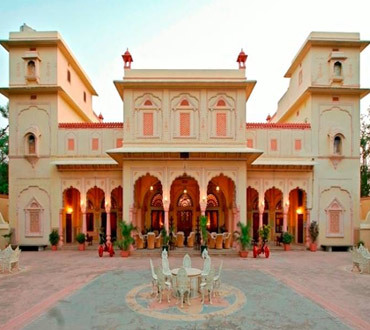 Next in line is the glorious City Palace, a wonderful blend of Mughal and Rajasthani styles of architecture. Later on, you explore Hawa Mahal, known for its amazing structure with 953 jharokhas. Lastly, visit the astronomical observatory of Jantar Mantar, which is a World heritage site. 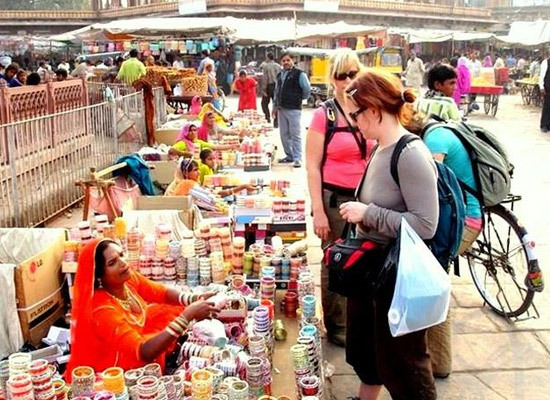 In the evening, visit the busy local bazaars to get your hands on some superlative souvenirs including traditional clothes, handicrafts, jewelry and so on. 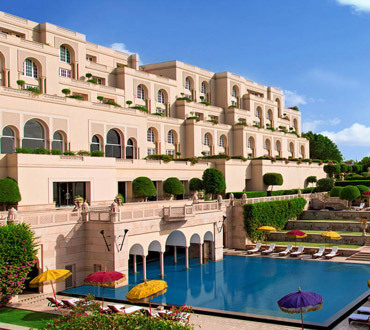 Today, post breakfast, start your road journey to the Mughal City Agra. 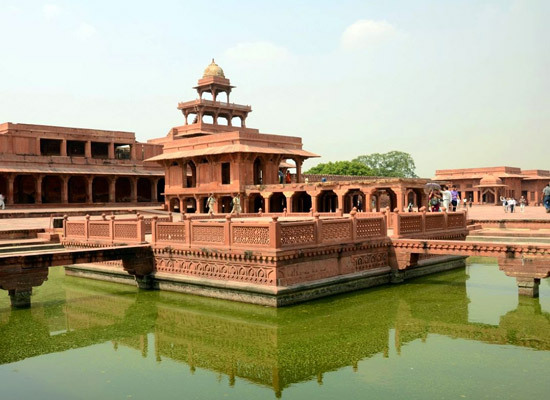 On the way, make a halt at the UNESCO World Heritage Site of Fatehpur Sikri. Once a bustling Mughal capital, commissioned by Emperor Akbar, it was deserted due to shortage water. The complex has various structures. Later on, continue your journey to Agra. Upon arriving, check into the hotel. Evening is at leisure. Indulge in the activities of your interest. In the morning, start your day early. Enjoy a visit to the World Wonder of Taj Mahal during sunrise. As the rays of the shining sun fall on the white beauty, it shines like a diamond. Taj Mahal is a marble mausoleum that was built by Mughal Emperor Shah Jahan in the memory of his beloved wife Mumtaz Mahal. 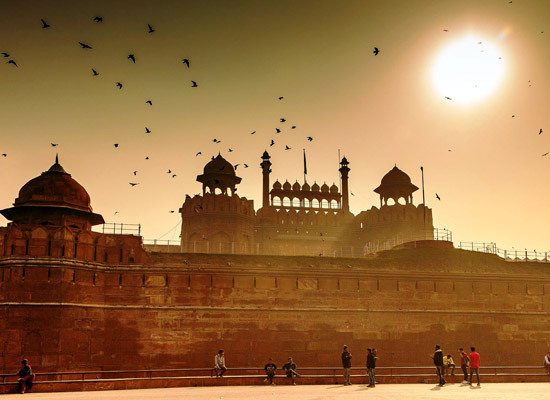 Later on, visit the UNESCO World Heritage Site of Agra Fort. The red sandstone part of this mighty structure were commissioned by Emperor Akbar, however, the marble structures were built by Shah Jahan. The last visit of the day is to the superb Idmat-Ud-Dauhla's tomb, also known as the 'Baby Taj' or the 'Jewel Box'. In the evening, get an assisted transfer to the railway station for boarding an overnight the train to Varanasi. Stay overnight in the train. Morning arrival at Varanasi railway station. Meet our tour representative. Get transferred to the hotel and complete the check-in formalities. Get freshened up. Thereafter, embark on a short trip to Sarnath, a popular Buddhist religious site. One of the four most important sacred sites of Buddhism, it has the deer park where Gautama Buddha first taught the 'Dharma' after attaining enlightenment. Back to Varanasi in the afternoon for city tour including Alamgir Mosque, also known as Beni Madhav Ka Darera, Dasaswamedh Ghat, popular for evening Ganga Aarti, and the Bharat Mata Temple- positioned in the Mahatma Gandhi Kashi Vidyapith campus. 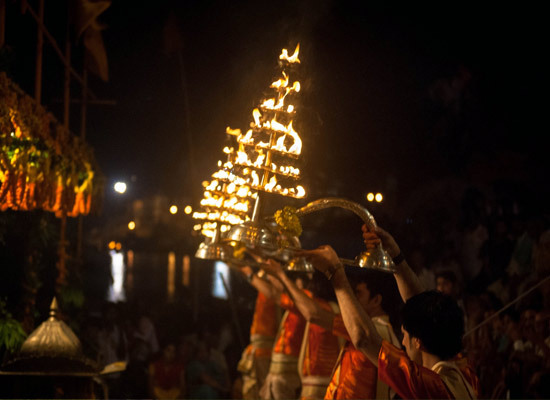 The evening is scheduled for the mesmerizing ceremony of Ganga Aarti, a lifetime opportunity. Start your day early. Enjoy an early morning boat ride on the River Ganges. Observe the locals and tourists busy in their religious customs and traditions. Later on, savor breakfast. Thereafter, get transferred to the airport to board your flight to Delhi. On arrival, board for your next flight for your onward destination.